A time to unwind and feel relax while having a chit chat with your friends. 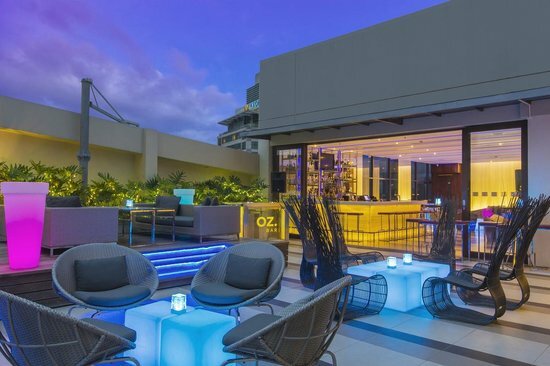 OZ Bar Holiday Inn is the place to be, located at the Hotel rooftop deck, relax while waiting for the sunset, chill in the cold breeze, enjoying the music inside the bar, sipping your drink while enjoying the place and seeing different colors of their mini tables. OZ Bar launches their new cocktails drinks and bar snacks. 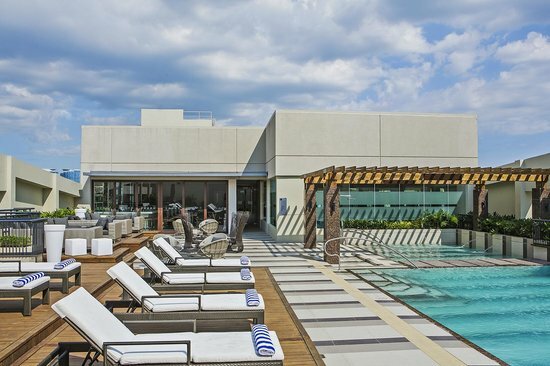 The refreshed menus are part of a new program by InterContinental Hotels Group (IHG) which is being rolled out across its Asia, Middle East, and Africa (AMEA) region. Celebrating more than 150 years of drinks mixology, the programme features the region’s best-loved and timeless cocktails, all made with Pernod Ricard premium brands, along with a completely revamped bar snack menu created by talented IHG hotel chefs. I was able to try their newly cocktails drinks and some bar snacks, I really like their Chicken and cheese quesadilla, the combination of the chicken and cheese is really good with the crunchiness of Pita bread. For the cocktails, I have tried their Mai Tai which sums up this blend of havana club white rum, dark rum, lime juice, orange curacao, orgeat syrup and a maraschino cherry, Mai Tai translated from Tahitian to mean “Good”. The effect of this drink is after you drink it all but that time I only consumed one glass of Mai Tai but probably will try in my next visit. I did try also the following cocktails and non-alcoholic drink and other bar snacks. "chicken wings was marinated well and the Thai sauce is not too spicy that everyone could love it." "this what everyone's want to have their bar snacks, you just have to dip in a sauce and eat, the sauce was good"
"even without the sauce, it was tasty"
"a finger food and not so common meatballs because it was spicy, the sauce lessen the spiciness"
"a fresh mango and orange juice, lower the level of the heat after drinking cocktails"
"one of all time favorite cocktails, always put mint to lessen the strong flavors"
The place can accommodate any occasion such as party and other team/individual celebration whether inside or outside the bar. The place has a nice set of chairs/sofa and tables that you will feel relax. So, what are you waiting for, visit the OZ Bar now and avail their promos like Buy One Cocktail, get your second Cocktail for free when you choose from their specially crafted cocktail selection in celebrating 150 Years since drinks mixology was created.